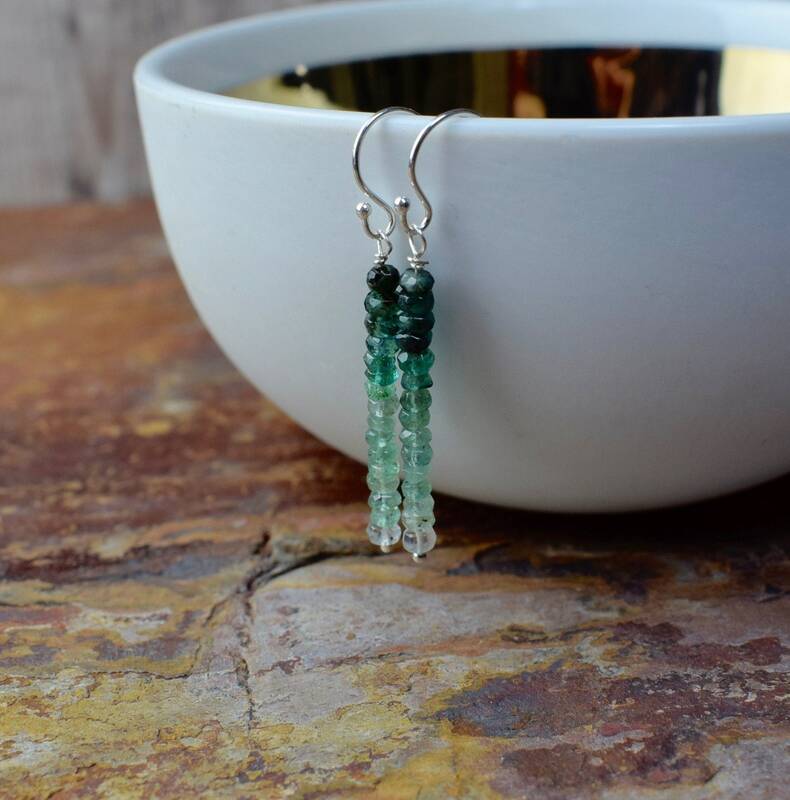 Sparkly Emeralds are carefully selected and strung in an ombre design that graduates from dark green through vibrant green to crystal white. 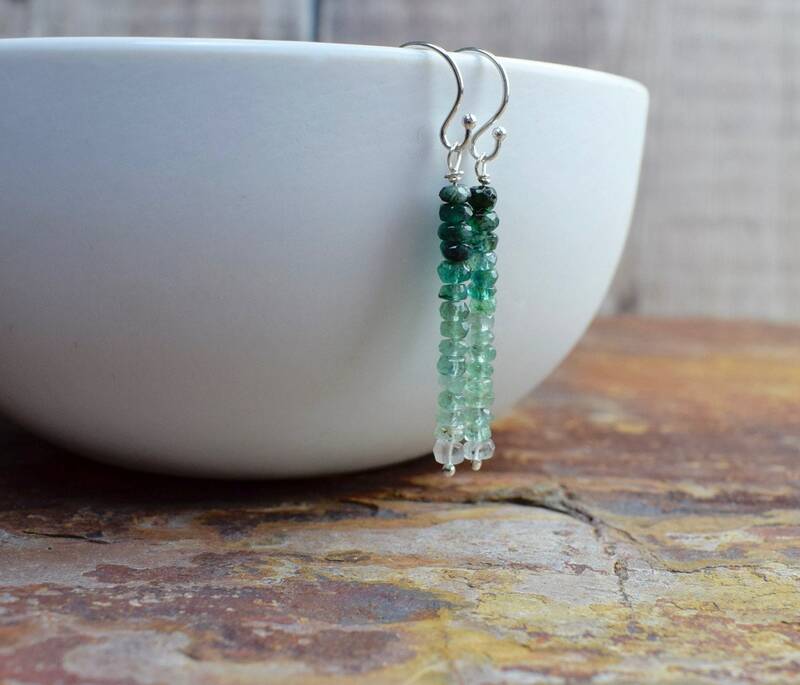 The natural Emerald gems are threaded on sterling silver wire and dangle from 925 sterling silver ear wires. 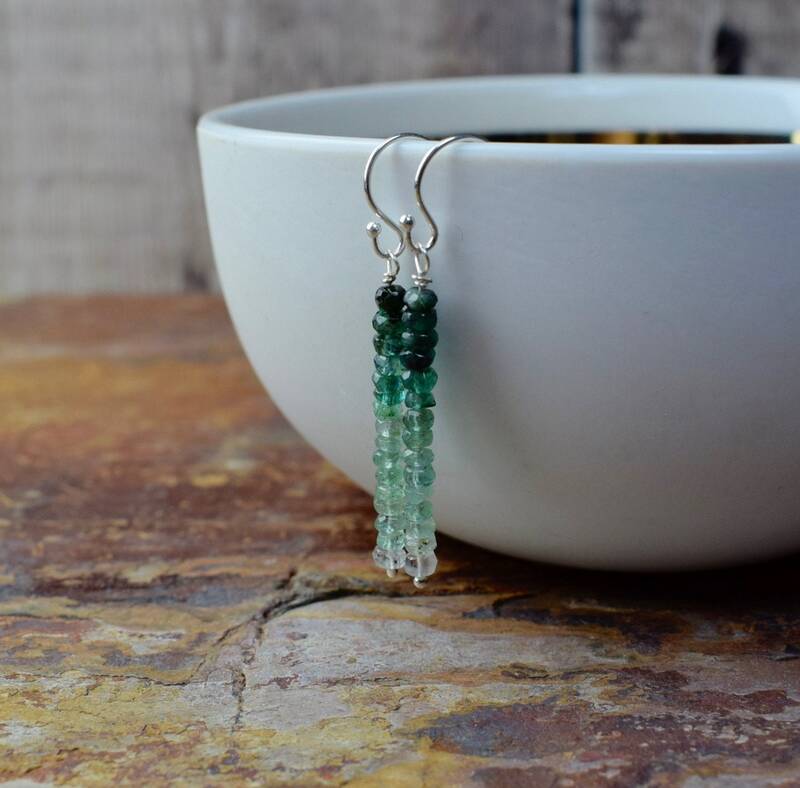 ✨ Emerald is the birthstone for May making these earrings a perfect gift for someone special born this month! 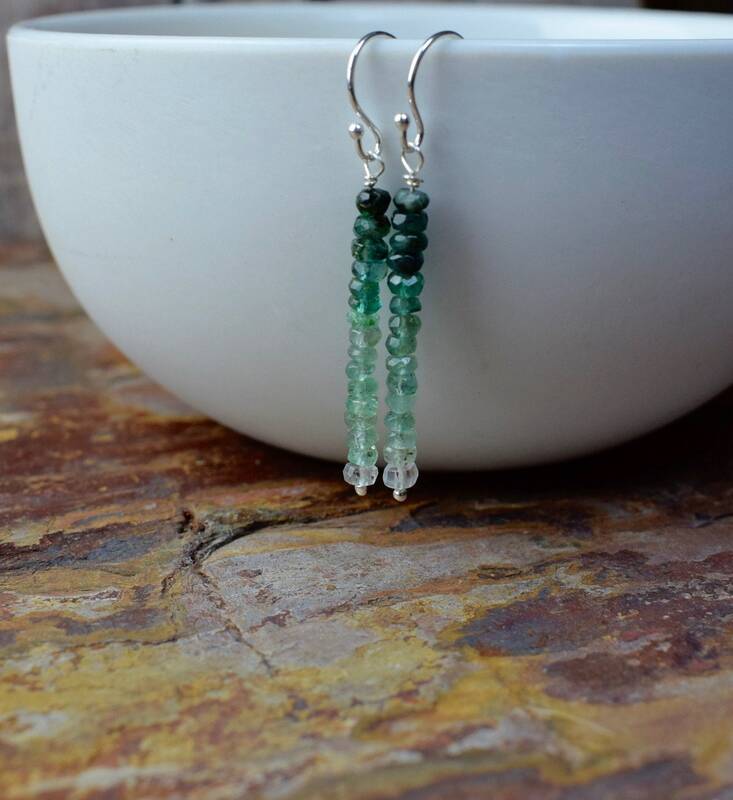 * The Emeralds measure 3-3.5mm. * Your earrings will arrive in a beautiful Saturnalia gift box. Handmade by me in my little Welsh studio! We post Monday to Friday and will send your jewellery securely packaged and in a beautiful gift box. Our postal boxes are recyclable and we use biodegradable packing peanuts/filling that can be composted. All orders over £85.00 ship for free - both UK & international! * International orders are sent with Royal Mail Tracked & Insured - a signature will be required upon delivery.